Reykjanes has some of the cleanest seawater imaginable which is the raw material used for making sea salt, where the North Arctic Ocean stream goes down the bay of Isafjardardjup. On Reykjanes exists a lively wild life, consisting of whales, seals and birds. Not to mention the geysers, which the place derives its name from, that are still active and spread all over Reykjanes. 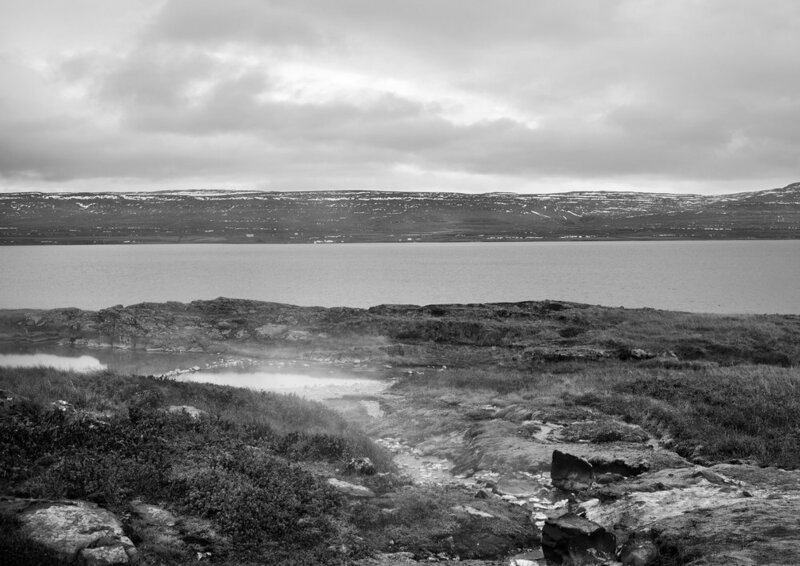 During this whole process we use 206 °F ( 93°C ) hot geyser water from the hot springs of Reykjanes, where we use it in the pre-heating, boiling and drying process of our salt. Geothermal energy is the sole energy source used, which means that during our whole process we leave zero carbon footprints on the environment and no CO2 and CH4 emissions. 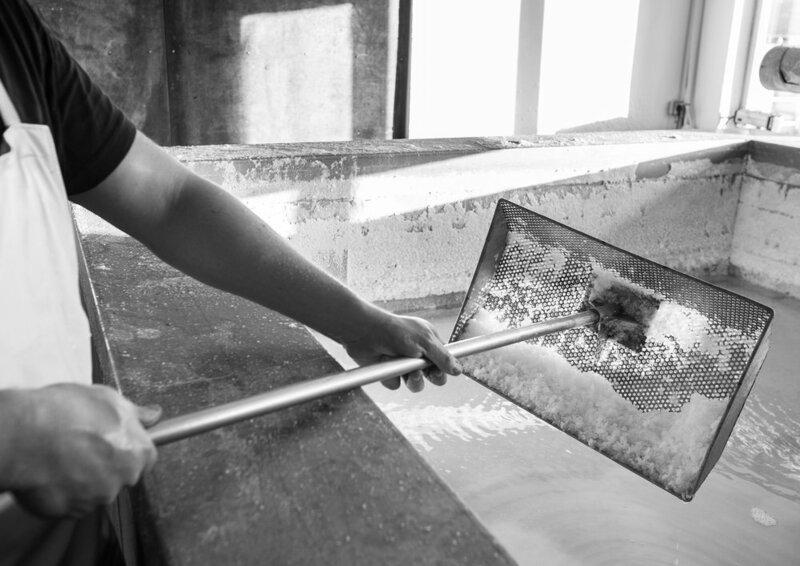 We pump the sea-water to open pans where we pre-heat it until it becomes a strong brine, a salinity level of 17-20%. Then we boil the brine until white crystals appear on the surface and slowly fall to the bottom of the pan. Therafter we draw the pan and drain any remaining liquid. Then it is dried and put into packaging. 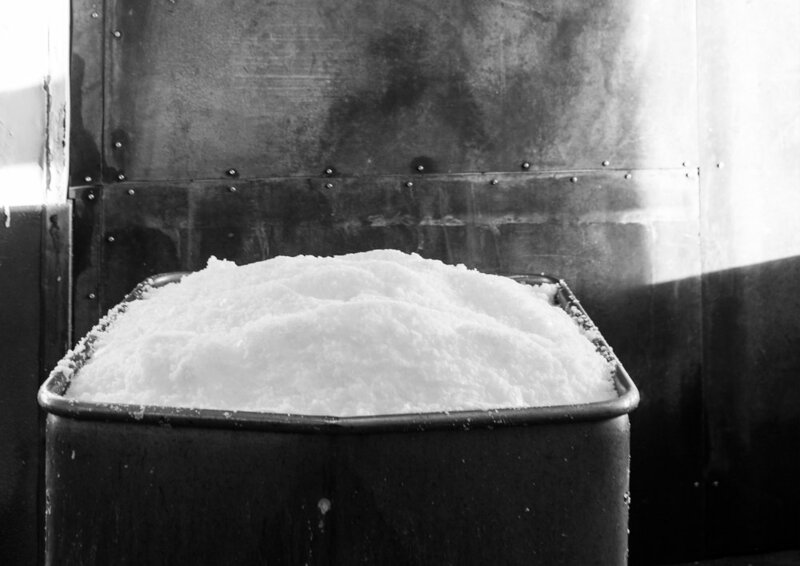 Saltverk is one of the few entirely sustainable flaky sea saltproducers in the world. The flaky sea salt are handmade pyramid-like crystal salt flakes that contain the flavor and taste of the Nordic region from which the raw materials used in it are derived. Saltverk Sea Salt includes minerals necessary for the human body and embodies calmness reminiscent of the location of its tranquil production surroundings. Saltverk Sea Salt includes minerals necessary for the human body and embodies calmness reminiscent of the location of its tranquil production surroundings. It is used in many of the best restaurants and in the homes of food enthusiasts around the world.